Diablo 3's release was first rumoured to be sometime in 2011 which evidently, is only a rumour. Blizzard's CEO Thomas Tippl then commented that the release date of the highly-anticipated game will be “early 2012”, which spurred the industry into suggesting that it would be around February as the most-probable date. However, the latest revelation from Blizzard 'confirms' that Diablo 3 is only set to release in the second quarter of 2012 - in between April and June. What do you think? Will it be delayed again? 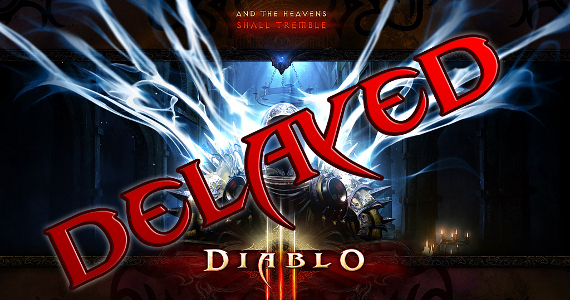 Anyhow, Diablo 3's delay should go no further than 2012 and despite the many delays and high hopes of anticipation, bets are that once the game is ready, no one would say a word more.